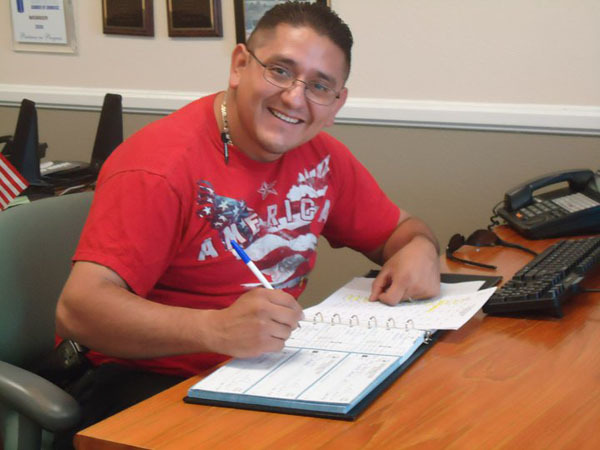 My name is Jose Hernandez; my military career began in August 2004 when I was send to Iraq. The unit that I was supporting was third ID bravo battery. During my first tour of Iraq I was involved in a lot of combat operations that pertained to concurring and establishing new fob for future soldiers to guard. While on patrol in the streets of Tikrit Iraq we were conducting building searches and suddenly we were ambushed without a prayer in sight. We sustained 4 casualties along with 2 KIA, but still were able to confiscate 25 AKA-47 and 2 plots on attacks of us convoys. My nightmare began there with no end in sight as guilt overwhelmed me I believe what was going on. During my second tour of Iraq I was placed on the stop loss. During this particular tour our mission included to help established a Prime Minister as well as a democratic society. A few months into my deployment Colonel Turnier from Headquarters came to the fob I was staying in and presented me with my E-6 rank promotion. According to brass I was doing an excellent job and I had a good background on conducting missions. As soon as I received my Staff Sergeant Rank I was in charge of combat operations that primarily dealt with seeking Intel and the confiscation of weapons. During one particular incident we were on routine patrol on Bayi just north of Tikrit we were overwhelmed with about 35 insurgents carrying AKA-47 and RPG. Our patrol was hit by an IED and was disabled upon contact. I suffered an immediate concussion and unresponsiveness for a while. When I awoke I saw my gunner had flown out of the vehicle and my driver as well as one of the rear shooters where hit with shrapnel. As I look out the window I could not see or hear anything. As I exited my 1199 humvee I saw insurgents but could not hear any sound. We were being over taken so out of nowhere I got into the gunner spot and started shooting at everything that did not have a U S uniform.